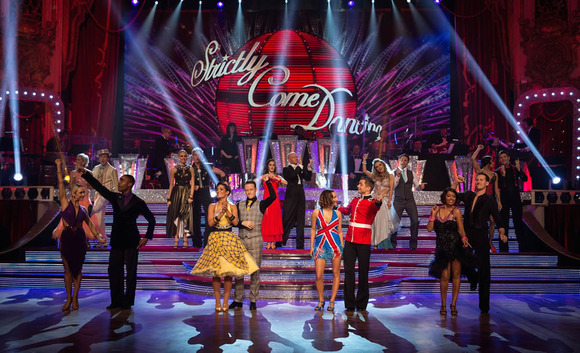 BLACKPOOL, United Kingdom – When BBC’s flagship Saturday night Strictly Come Dancing entertainment show relocates once a year from Elstree Studios to the coruscating Blackpool Tower Ballroom, all the production infrastructure likewise heads north, with the OB recording trucks set up in a co-opted scanner park. 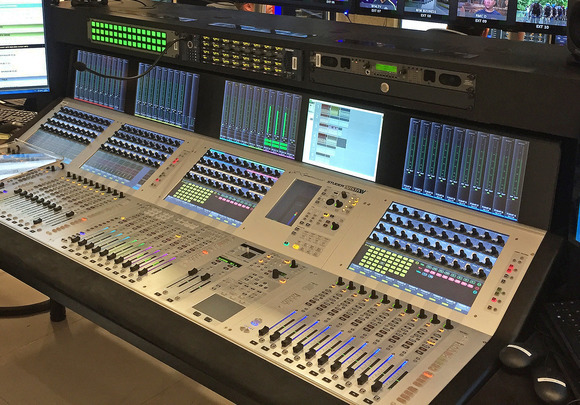 With the hit show now in its 10th year, BBC Studios and Post Production’s Andy Tapley, and lead Sound Supervisor, Tony Revell, evolved an elegant workflow in Blackpool, mixing the show entirely on three HARMAN’s Studer digital consoles. For the first time on a Strictly OB, the topology was based on a conjoined Vista 8 and Vista 5, alongside a Vista 1, which handled the surround sound mix within Red TX’s reconfigured Red II 3D/7.1 OB truck. This also housed a dedicated grams area. Both the Vista 1 and Vista 5 were provided by Terry Tew Sound & Light, along with 60-70 channels of radio mic and IEMs. Tew also handled RF frequency management. Mixing live in the ballroom was FOH sound engineer Nick Cook. Three of the fibre stageboxes were located by the splits for radio mics and band circuits with the fourth assigned to audience mics. (FOH also took its feeds from these splits). The multis on the OB’s resident Vista 8, operated by Andy Tapley, carried all band, orchestra and music circuits as well as the dancers’ radio mics, while two fibre multis to Tony Revell’s Vista 5 ran 26 audience mics, presenters’, judges’ and vocal mics. Running the I/O architecture via optical fibre were four Studer D21m stage boxes — two each assigned to the Vista 5 and Vista 8 where McBusted were joined by Shirley Bassey (plus a 12-piece string section and backing vocals). This was in addition to resident band leader Dave Arch’s 15-piece ensemble, fed via MADI to the Vista 8, which also handled the string submixes. 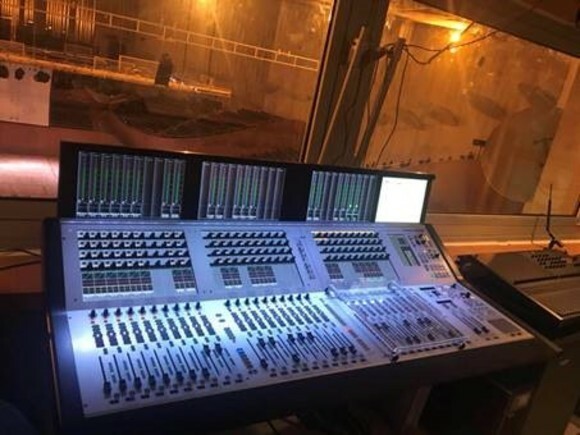 The Vista 5 provided Grams feeds to FOH and monitors (sound beds, voice overs, tracks for McBusted and couples’ rehearsals). Other add-ons to the sound desk technology proved equally useful in supporting a first class production. For example, ‘Virtual Vista’ was used to build the desks and the Vista ‘Config’ tool used to design the number and type of channels as well as busses and I/Os for each of the three desks. 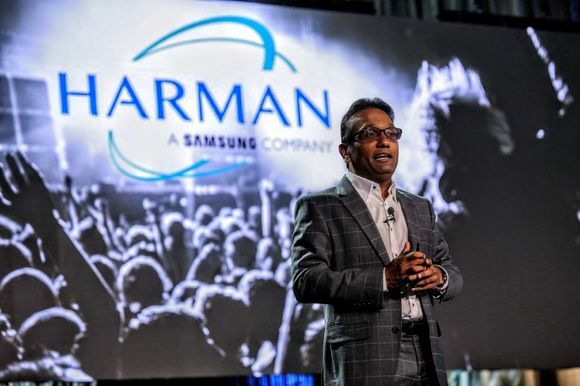 “This was really the key to enabling the Vista 5 and 8 to link cores,” explained Tapley, “It meant I could build the desk titles with 'Virtual Vista' from the comfort of my sofa! It enabled us to drop our Configs into Dropbox and compare tie-lines and MADI routing so that by the time we arrived here we could virtually load the files on USB sticks, and save as snapshots.” These were used to save band and vocal mixes and prefade routings to VT of couples’ mics while dancing. Each snapshot on the Vista 8 fired off a MIDI trigger to the Vista 5 so that the snapshots on each desk would change in unison. The eventual mix transmission was sent via MADI to the adjacent CTV OB truck where all vision mixing and VT routing take place. It also enabled the sound supervisor to fire off different reverbs, running QLab on a MacBook Pro, with the ‘Theatre Cue’ list containing the snapshots programmed with MIDI cues. Tony Revell believes that the Studer set up had been given “the biggest workout we’ve ever known,” adding, “to be able to sit down and decide how many channels and mix busses we needed and then customise it for a particular event was really useful. “It is certainly a huge step forward for us in delivering a show like Strictly live to air from an OB,” he concluded.